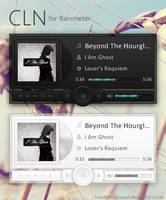 Soita is the official example skin for the NowPlaying plugin for Rainmeter, which supports a bunch of media players. 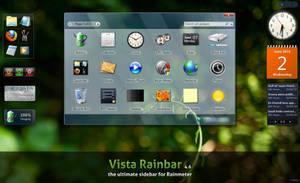 Rainmeter 2.3 beta r1448 (or higher) is required to install this skin. 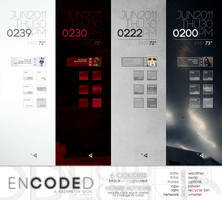 Download it from rainmeter.net. After installing, right-click here and select 'Edit Skin'. Then, the [mPlayer] section, change the PlayerName= value to your player. After saving the file, right-click on the skin and select 'Refresh Skin'. Done! 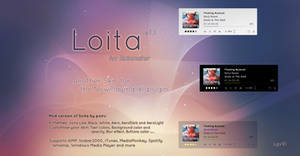 Soita for Rainmeter by =poiru is a milestone achievement. 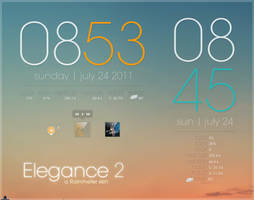 this deviation is not only featuring a great looking and well executed skin, but more importantly it is made to introduce a long overdue plugin to the app of rainmeter, so that you can now use almost any media player in conjunction with rainmeter and then control said player through according skins. in other words: the skinner doesn't have to decide for only one player support anymore and can now support them all with his rainmeter skin. just how great is that? For some reason the rating stars aren't functioning properly - they display the correct rating however, I cannot make any changes to the rating? Any advice? It works with foobar2000. 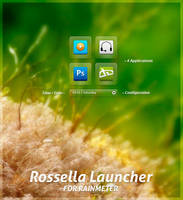 It works great with WinAMP (even the latest 5.8 beta). But, can it work with both? Or multiple? I tried to edit .ini file this way and that way, but for me it works only with the first player stated. It was just a search away guys! 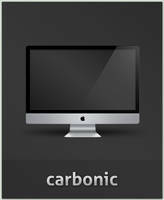 Fully supported through the CAD interface with Media Center 19 and later. More information here. it doesn't list the values of the music players..
Hello! The player looks amazing but the link you provided for the PlayerName value (both on this page and in the soita.ini file) redirects to www.rainmeter.net/#playerlist and therefore I cannot setup this skin. Any help would be appreciated! Hello, looking to make a player to play music automatically every time someone logs in to his/her computer. I downloaded this amazing looking skin for the rainmeter, to get ideas and see the code, but I don't understand, the player does not playing anything. I changed the [mpPlayer] with wmp - windows media player - and when i try to open it from the button it does nothing, also it has N/As. I don't know what to do, there are no errors or anything, it's just not working for me. Is it possible to resize the player window? 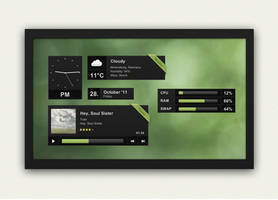 I want it to display the album and song titles completely. I have a 32" monitor, so double the size would be nice. The other thing is, that i would like to disable the PROGRESS display, but nullifying the code lines leads only to a "%1%" instead of the PROGRESS. that way you could see automatically when a stream is on? 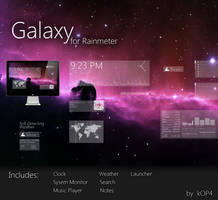 hey is there a way to make a video stream from the internet put on a spot on your rainmeter? Does it work for you ? If so can you send me your .dll ? I got it so that when I click 'open player' on the bottom right corner, it opens Spotify but it doesn't actually display what I'm listening to on the skin. It stays at the default with no album cover and N/A with 00:00/00:00. I refreshed the skin, I made sure that I edited it properly, still nothing. I am having the same problem. 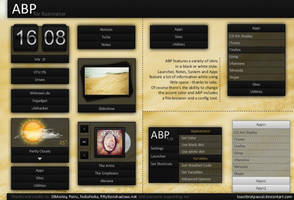 Also with other skins using the same plugin. I've been mucking around with the code trying to use the SpotifyPlugin.dll to feed the missing details. But I don't really know what I am doing. I really like it, I just wish it was smaller. Does it support Windows Media Player or Spotify? Does it support Groove Music On Win 10 ?? Considering he hasn't updated this in 4 years, I doubt it. Does it support Groove Music on Windows 10 ?? 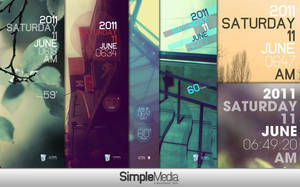 Are there any icons for repeat and shuffle? Nevermind, I found some. This is a great skin! 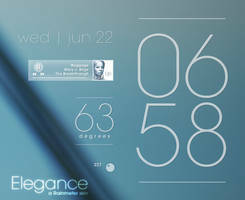 Thanks also for all the work you have done with the illusto skin, I have only been playing with Rainmeter for about a week, but have learned a great deal from reading your .ini files! is it possible to add 2 things like youtube (if that works) and spotify, if yes then how? Been using this for quite a while now and I've gotta say its one of my favorite music player skin so far. I'm keeping it on top of my other programs as a quick preview for what's playing. 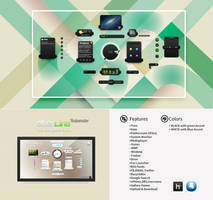 The simplicity and design low profile design of it works well for what I need it for. How can i play music with this skin even if i dont open the Music player(eg. WMP) ? i mean is it possible for me to play music if i just click on the play button? pls reply. BTW when I play a video over an hour long (like a movie) the duration stays as 00:00 while the position is correct. anyway to fix the duration? Im creating a basic music playback control interface using this NowPlaying plugin as well. Its got separate play and pause buttons, next track, previous track and a meter that displays the track title. The first song I play after any boot up is fine, everything displays properly. If I open another file without closing the one currently playing, the track title also updates normally. When I close the current one, the track title usually disappears and then never appears again when I open another file. 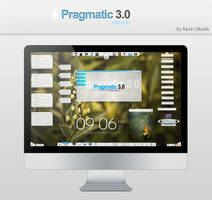 I have to manually refresh Rainmeter to make it appear. Exterm, try changing PlayerType in both of them to Type, and change ARTIST and TITLE to artistname and trackname. Okay, I found a forum for this, and now everything works, except Artist name and Song Title. Man this is confusing! Any ideas, I downloaded SoitaSpotify.ini and just loaded it, do I have to change anything for it to show artist and song? Thanks for the skin but it seems there is no album art support for Opus codec. Is that right? Album covers from mp3 are shown instead. Thanks for the skin but it seems there is no album art support for Opus codec. Is that right? did u go into the ini file and change the PlayerName to MediaMonkey? I cannot get this working with MusicBee. I have everything properly setup but it just won't work. I have tried refreshing and loading and unloading. I have tried this before and after starting MusicBee. Basically, I have tried every combination of factors available to no success. Does anyone have a solution? No album name or cover art with Spotify, why? Also, the Progress bar doesn't seem to be working either.